It's time for Mailbox Monday, a fun meme created by Marcia at The Printed Page. It has now gone on tour and for the month of August will be hosted by Shanyn at Chick Loves Lit. (If you want to join in on the fun, just click and see what others have received in their mailboxes.) After 3 weeks of waiting, my books are trickling in. A good variety. Check them out. Part epic adventure, part romance, and part true-crime thriller, Coppermine is a dramatic, compelling, character-driven story set in 1917 in the extremes of Canada's far north and the boom town of Edmonton. 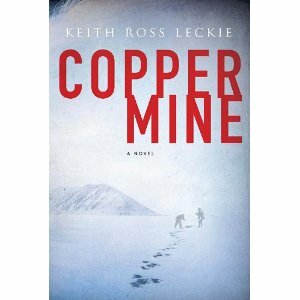 The story begins when two missionaries disappear in the remote Arctic region known as the Coppermine. North West Mounted Police officer Jack Creed and Angituk, a young Copper Inuit interpreter, are sent on a year-long odyssey to investigate the fate of the lost priests. On the shores of the Arctic Ocean near the mouth of the Coppermine River, they discover their dismembered remains. Two Inuit hunters are tracked and apprehended, and the four begin an arduous journey to Edmonton, to bring the accused to justice. 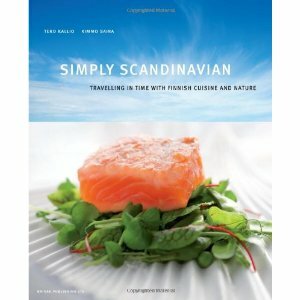 Simply Scandinavian presents modern takes on traditional Scandinavian recipes, combining time-tested Finnish food preparation with twenty-first century taste. The recipes are organized by time of year--appetizers, main courses, and desserts for Spring, Summer, Autumn, and Winter. The authors have arranged the book to take the reader through a year of Scandinavian recipes, pairing gorgeous four-color photographs of Finland's landscape--from the archipelago in the south to the harsh wilderness of Lapland--with mouthwatering food photography. Against all odds, Katniss Everdeen has survived the Hunger Games twice. But now that she’s made it out of the bloody arena alive, she’s still not safe. The Capitol is angry. The Capitol wants revenge. Who do they think should pay for the unrest? Katniss. And what’s worse, President Snow has made it clear that no one else is safe either. Not Katniss’s family, not her friends, not the people of District 12. Powerful and haunting, this thrilling final installment of Suzanne Collins’s groundbreaking The Hunger Games trilogy promises to be one of the most talked about books of the year. The Alternative Medicine Cabinet is a treasure trove of natural health information. Easy to incorporate, practical advice on everything from natural ways to improve your sleep and conquer depression to weight loss, helping back pain and corporate health. All without drugs or surgery. Valuable information that will allow you to live longer and live better. Everyday language allows you to incorporate these recommendations in to your life immediately. Isn’t it time you discover better choices for your wellbeing? Take control of your health today. Peer into the Alternative Medicine Cabinet and start learning. In the aftermath of the Civil War, the Bennet family has just moved from Ohio to the town of Rosings, Texas, set on creating a fresh start. But their daughter Beth still prefers the familiarity of Ohio to the plains of Texas-that is, until she encounters Will Darcy, the reclusive owner of Pemberley Ranch. Will and Beth are instantly smitten, but pride, prejudice, and a gang of villains determined to take over Rosings threaten to keep them apart. This fresh idea in the world of Jane Austen retellings brings together the world of Pride and Prejudice with the struggles of the antebellum South. Carrie McClelland came to Scotland to research her next book. Renting a cottage in the same town where her story takes place, Carrie embarks not only on her novel, but on a romance with her landlord's handsome son, Graham Keith. When the boundary between past and present begins to blur, Carrie finds herself channeling memories not her own. Pulled deeper and deeper into the memories of the past, Carrie realizes these visions are more than the means to another bestselling novel, but also a way to right the wrongs of the past and create a future with the man whose love is her destiny. So what did you receive in the mail last week? I recieved Winter Sea as well. Enjoy all your new reads! Lots of great looking books! I didn't know there was a Finnish cuisine, so I'm really curious about that cookbook! I bought Mockingjay for my hubby on release day. Simply Scandinavian sounds delicious. And the Alternative Medicine Cabinet sounds like something we would like. Terrific mailbox this week. So many good ones. What an interesting mix of books. I hope you enjoy them all! I am looking forward to Mockingjay too! Here's my mailbox. I didn't list Mockingjay on my mailbox because my daughter grabbed it. Hopefully she'll be done soon. Enjoy your books...looks like a great mailbox. And the Copper Mine looks like something that might catch my eye. Ooh I like the look of The Winter Sea. Enjoy your new books! My mailbox is at The Crowded Leaf. You got some great-looking books this week! Copper Mine, Pemberley Ranch and Winter Sea all sound awesome! I've already devoured Mockingjay. Can't wait to see what you think of it. I'm so behind, haven't read any Suzanne Collins books yet... The Winter Sea sounds good! I have copies of the last two also. Don't they look great?? Enjoy! Pemberley Ranch and The Winter Sea both sound very good. I have not read the Suzanne Collins books as of yet. They must be very good though as everyone seems to be reading them! I got Mockingjay too. I have the whole series now and need to start reading it!